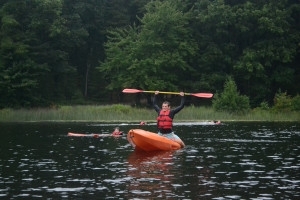 Outdoor adventure is a promise made to boys and girls when they join Scouting. Today the amount of time kids spend outside is alarmingly low…only minutes per day! Through Scouting our goal is to get our Scouts outside where they have the opportunities to canoe, hike, shoot, swim and just be Scouts. Why is this important? In the outdoors, boys and girls have opportunities to learn skills that they can’t get anywhere else. Here they find inspiration, learn teamwork, and become leaders. Learning by doing is a hallmark of outdoor education and Scouting wrote the book. Below are highlighted opportunities that are a available in the state of Michigan for our Scouts and the many others from out of state that choose our camping experiences. As always, thanks for investigating a MCC Boy Scout camping opportunity and GO SCOUTING! Here in Michigan, we have four amazing Scouts BSA Resident Camps scattered across the state – each with it’s own unique opportunities. Scouts can earn merit badges along their advancement trail or experience our premier programs such as; horseback and ATV riding, pistol shooting and tubing – our camps have what you’re looking for! Looking for a Scouting adventure you can’t get anywhere else? Come set sail aboard the newest Michigan Outdoor Adventure, the Retriever. This 52′ ketch will blow you away as you sail on an excursion in the northern Great Lakes. This experience is reserved for Sea Scouts, older Scouts BSA, Varsity Scouts or Venturers where they will learn the fundamentals of sailboating during their week long summer cruise.